Located between the inner and outer ear, the middle ear is the third part of the human auditory mechanism. From a purely anatomical point of view, the inner ear is divided into three separate units. The first consists of the tympanic cavity. It contains both the eardrum and the ossicles. The second includes the mastoid cavities, which are often implicated in diseases of the middle ear. 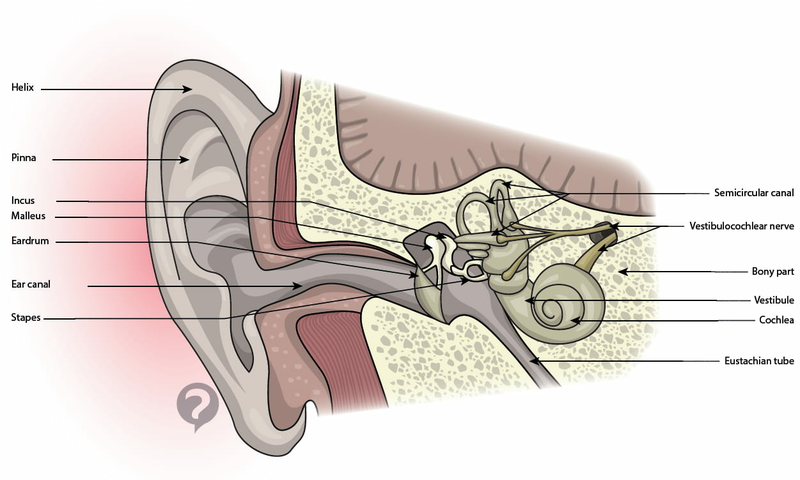 The third unit consists of the Eustachian tube, which is involved in the regulation of the eardrum's pressure. Published by christelle.b. Latest update on August 20, 2014 at 05:46 AM by christelle.b. This document, titled "Middle ear," is available under the Creative Commons license. Any copy, reuse, or modification of the content should be sufficiently credited to CCM Health (health.ccm.net).